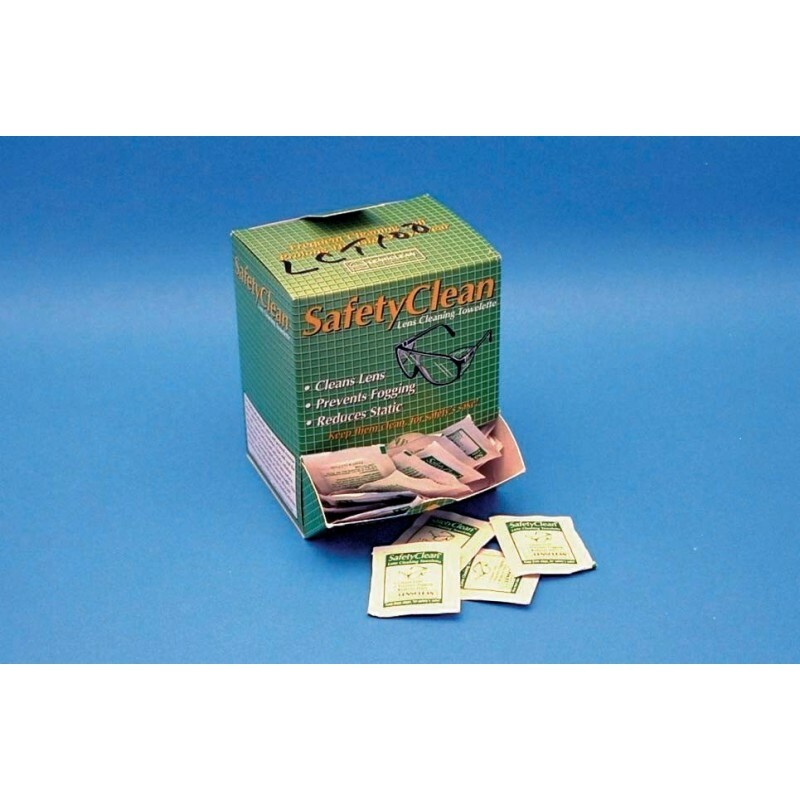 Keep safety glasses fog-free and clean with these disposable GLASS LENS CLEANING TOWELS. Handy dispenser with individually wrapped towels is ideal for anywhere in your shop or lab where safety glasses are required. Perfect for high humidity and high activity environments where fogging and dust build-up occur. 100 packets to a box.